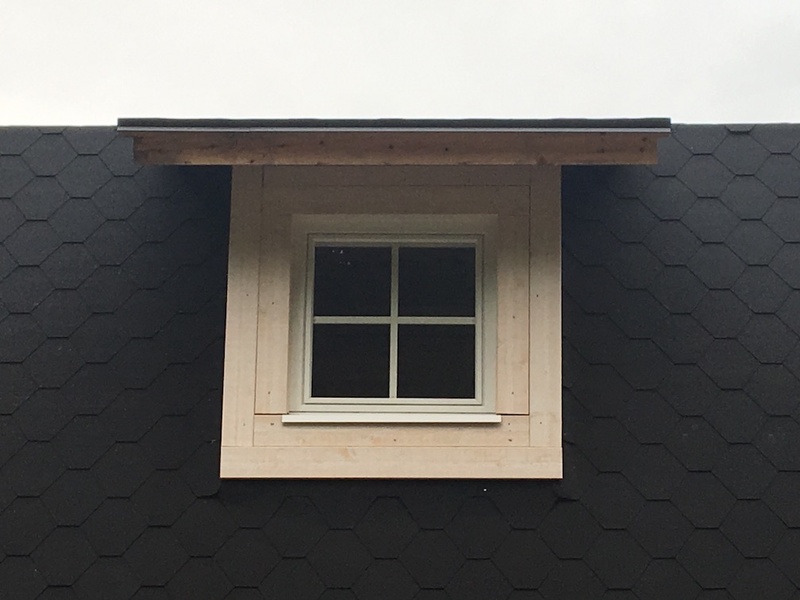 … and here is the same dormer window with covering boards around the roof. Another thing that needs covering are the holes in the logs which allow tightening the rods. These gaps a located in the second row of logs from the bottom. 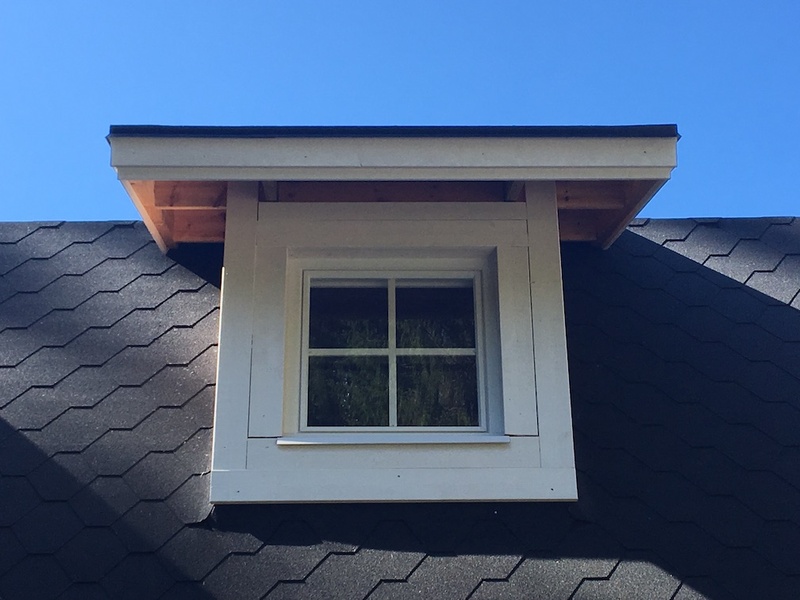 I did survive one winter without them, but with the entire workshop painted now, I can cover them as well. 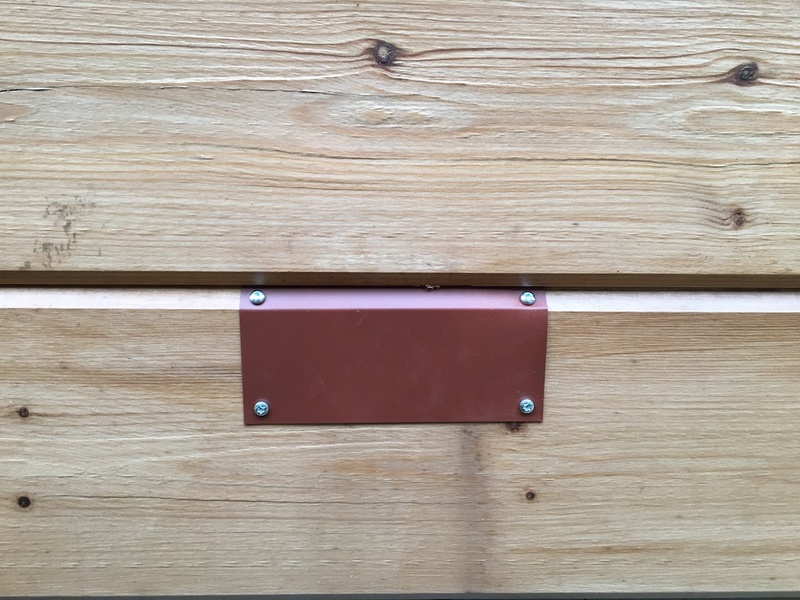 The metal sheet covering the hole seems to have a much darker brown, but comparing to the Villa and a second round of painting, this darker brown should resemble the final colour after some raging of the logs.